NEW YORK (WABC) -- The most important thing the Mets and Astros did this weekend came before the first pitch was thrown in their three game series. Each team sent players into Houston and the surrounding areas to help out in any way they could. Astros manager A.J. Hinch addressed the crowd before his team's first game back in their home stadium, thanking everybody in the city of Houston who's doing something good for somebody else. Hopefully, it was a healing moment for the city and its baseball fans. Seeing their team back on the field had to provide a sense of normalcy that's no doubt been missing. As for the Mets, it was a series that epitomized the 2017 season, complete with one of the most bizarre injuries you will ever see. All signs pointed to Michael Conforto eventually having surgery on his dislocated shoulder, but that news became official Saturday. Conforto suffered the injury on a normal swing in a game last week, the type of freak injury these Mets have grown accustomed to. But it didn't end there. 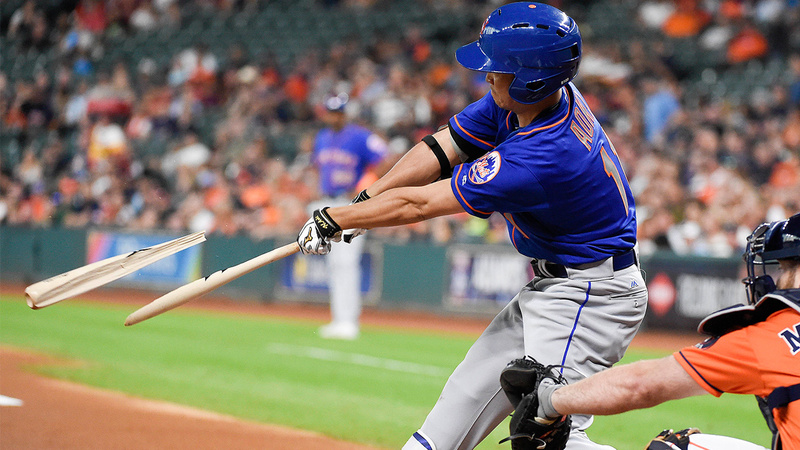 In a gruesome scene on Saturday night, Wilmer Flores fouled a ball off his face. Yes, his face. He collapsed to the ground with blood pouring from his nose and would leave the game. While he says he's feeling better, there's no word yet on when he'll be able to play again. And those were just the injuries. The Mets were also swept by the first-place Astros. If you need some good news, there is some. Dominic Smith picked up five hits, he had only eleven coming into the series. Noah Syndergaard said he felt good after his first rehab start since tearing his lat muscle back in May. And while Matt Harvey returned from the DL with an abysmal performance, the former ace says he thinks he found the mechanical issue that?s plagued him all season. Probably the best news to come from this weekend, however, is that the calendar switched to September. That means the season is almost over and, for the Mets, that can't come soon enough.